Its all about surfing once your in Rusty's Villa. This beautiful 3 bedroom Villa is located in walking distance of the famous left point break that has been featured in Longboard magazine with rides that line up on the face 400 yards or more on the biggest days holding shape all the way into the shore break. The conical shell shaped pool in the center of the house has a swim up pool bar and a jacuzzi tub up high with the run off acting as a waterfall into the swimming pool. No Children under 5 We have a swimming pool inside the center of the house with NO Lifeguard On Duty. Parents will be on the pool deck at all times while children are in the swimming pool. Since the shape of the pool was built first the shape of the bedrooms are similar to the pool as the whole villa is built around the pool making the architectural values in the Villa very different from any other tropical resort that you may of stayed in. Our kitchen is located on the pool deck so all your cooking is outdoors looking over playa LaSaladita. Upon request you can hire a private cook to come in and prepare your special meals for big parties you may have while you visit and if you like we can arrange horse rentals so you can ride off into the sunset. 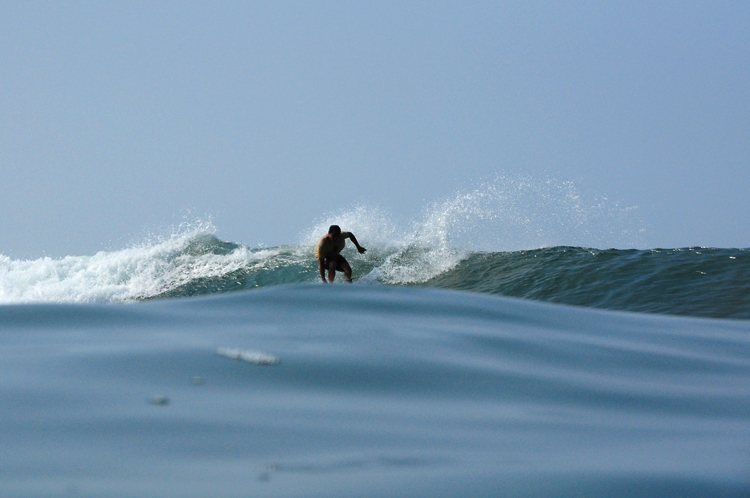 We are a surf villa and offer surf lessons with local pro Wax Surf Productions also video and still photos. Talk to Wax and he will offer you Surf Tours with video package DVD or still photos to take home with you. Surf with the local pros's. We also have airport pick up and return if you need this service we charge $200.00 and you also get to go to super market and stock up your food supplies on your way into Rusty's Surf Villa if you decide not to rent a car. We have other local taxis as an option to renting expensive vehicles. 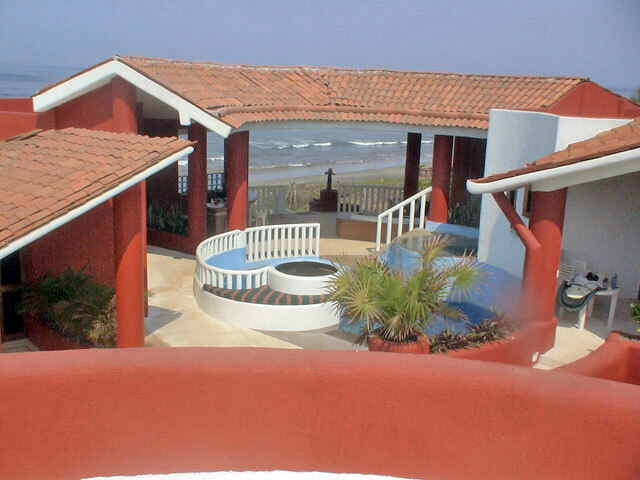 Rusty's Villa is a Beach House with Vacation Rentals on the beach of La Saladita, Mexico, known by surfers around the world, especially longboarders, for its consistent long left break rides. La Saladita, a pristine and tranquill beach destination, La Saladita is a short drive to Troncones, and 40 minutes from the nightlife of Ixtapa and the old world style of the city of Zihuaetejo. $100.00 per night for pool side bedrooms $150.00 for beach front suites available now at Rusty's Villa One front bedroom with 2 poolside rooms available at Rusty's Surf Villa $2,500.00 per week with a party of 6. All bedrooms have their own private bathrooms. 2 on pool side have solo beds that can be converted into king size beds if necessary. Front bedroom has ocean view with king size bed and a huge hot or cold tub in the bathroom. Go to our photo gallery to see how awesome this Villa is set up for your comfort. The on demand Bosh state of the art hot water heater needs to be replaced as it broke this year 2011 from salt water damage.